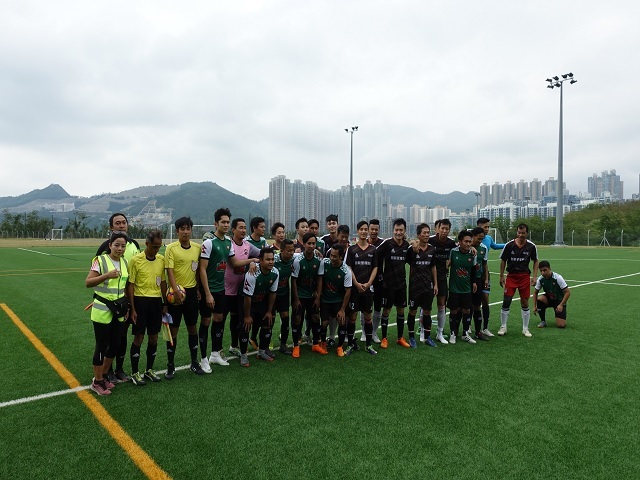 HOB and Gurkha played in the historic first ever YYL game at TKO Jockey Club HKFA Football Traning Centre yesterday with Gurkha coming away with a 2-0 win that sees them maintain their unbeaten record and a six point lead at the summit of division three, CSOB remain in second place after overcoming Grasshoppers by the odd goal in three. In the first division title race Spartans 1-1 draw with Colts means their lead at the top is now reduced to a single point after Wanderers convincing 3-0 win over the Germans in a match that was threatened to be overshadowed midweek with regards to alleged allegations from the HKFC Quartermaster that the Germans towel count was down by two last game out, GAS player manager Adam Wise was rightly mortified at the potential political fallout, "look" he said, our reputation for leaving towels (on the beaches and deckchairs of Europe) is widely known and to be now accused of taking them really is a bit too much and clearly politically motivated given the fragile state of the current Brexit negotiations, Wanderers stalwart and newly elected HKFC Honorary Secretary, Neil Jensen, was unavailable for comment although sources have revealed hand soap and bog rolls may be next. Swiss are flying high after an emphatic 5-2 victory over fellow founder league members HKU70s and Colloids stay in second after a 4-0 win over Corinthians. In the fourth tier MPR91 kept the leagues only 100% winning record coming away with a 3-1 win over Bapcoll and ADW stay second after a convincing 4-0 win over Standard Chartered. Goal Visio (0) vs (3) G. G. F. C.